I’ve often observed over the years that Southern summers only reluctantly yield to the dormant season. 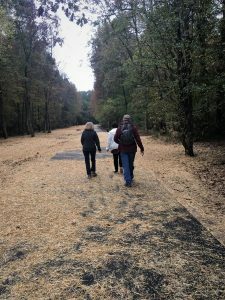 November 5, 2018, the morning after a night of rain, we hiked five miles on the Bradford Creek Greenway in Madison, Alabama. Summer held tightly through September and into mid-October this year. Only over the past ten days had our deciduous trees begun to turn and shed. Our colors cannot match the Central Appalachians and New England’s burst of absolute glory, yet I find soothing comfort in summer’s relaxed grip and fall’s dormancy advance. 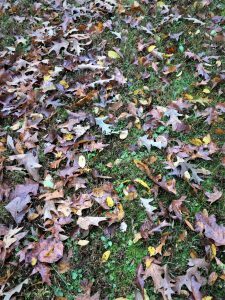 Our autumn involves less of color exploding… more of green retreating internally. Deciduous trees simply go dormant without a lot of hype and fanfare. As this day progressed through afternoon, our skies remained dark and foreboding, eventually yielding to night and a wee-hours squall line (the National Weather Service termed it a QLCS — a quasi-linear convective system) in advance of a cold front. 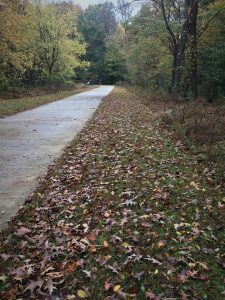 Strong winds and a little over an inch of additional rain, I am certain, brought a lot more leaves to the trail and forest floor. Nature’s annual above ground organic matter cycle will soon draw to closure. It’s all part of the grand carbon cycle… whether in New England or here in the South. 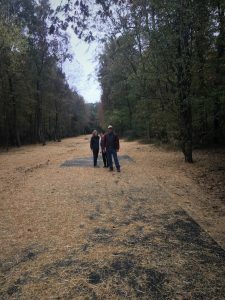 The southernmost leg of the Greenway (between Mill and Palmer roads) had been closed since mid-July for laying larger diameter sewer lines in the Greenway right-of-way. It had just reopened the week prior. Hence we walked on straw blown in to facilitate grass reseeding of the rehabilitated trail shoulders where the pipes lie. With an imaginative reach for this latitude I visualized snow cover. 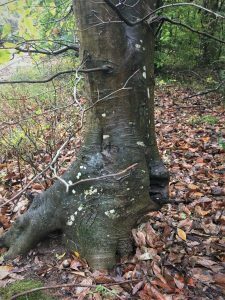 The prior night’s rain had wetted this trail-side beech with stem flow, bringing a cloudy-sky glisten to its smooth bark. I photographed this coarse individual for its character — wet, shiny, and darkened stem; low branching; forked trunk at 3-4 feet; and its once-damaged, now healed-over base. All of it back-dropped by fallen leaves and yellowing foliage beyond. 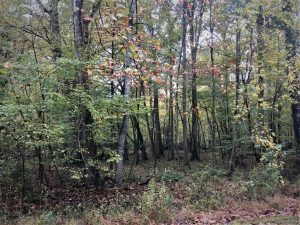 I pointed out to our hiking companions that this entire riparian forest had once been tilled (or pastured), its deep and fertile soils producing fine crops when lowland flooding permitted access, planting, and harvesting. Too often, however, the stream that assured fertility and moisture interfered with reliable production by either preventing access or actually flooding the crop. The forest regenerated naturally… I’m estimating some 30 to 50 years ago. Here and there along the trail we encountered individuals that stood within the fields long before agricultural abandonment. 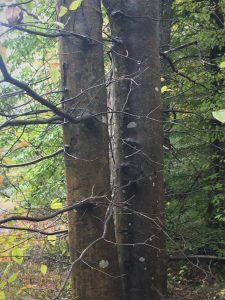 This remnant oak’s massive girth and crown evidence that it was once open-grown, enabling it to reach for sunlight vertically and horizontally without competition from adjacent trees. The old forestry term for such an individual is a “wolf” tree, as in the lone wolf standing sentry in a field its own. How could I resist inspecting and photographing this musclewood (Carpinus carolinia)? Lichens and mosses have painted the bark’s canvas with a pattern worthy of museum display. And the background — who could have chosen better? Nature never misses an opportunity to inspire. I wondered how many hikers passed by that day blind to the beauty, magic, wonder, and awe within plain sight? Because this is the Bradford Creek Greenway I feel obliged to include the creek in this gallery. 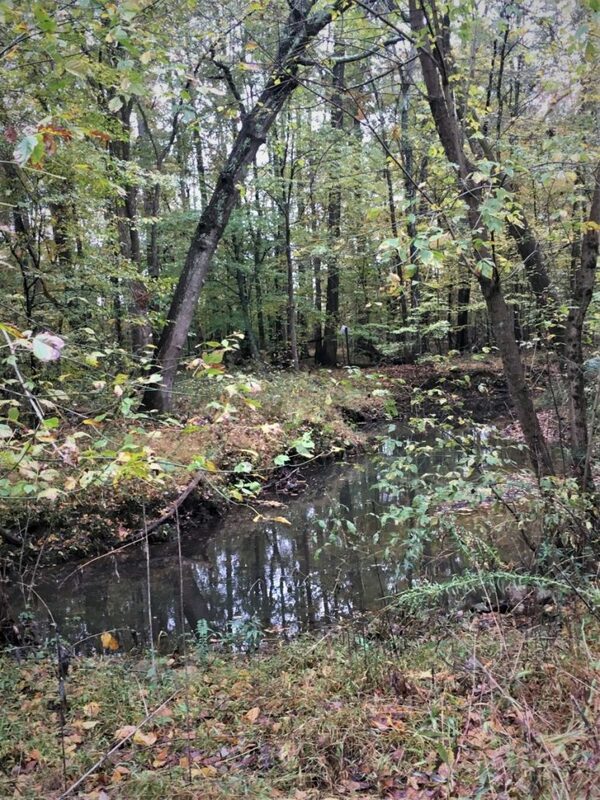 Even during the driest days in mid-October, the creek never failed to flow with confidence. 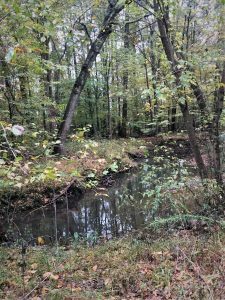 As we enter fall and winter, vegetation and evaporation will make no demands on the creek, and rains will be more reliable. The creek will swell its chest with pride. Occasionally it may even pop its banks and cover the trail. I will plan to be there as witness. These two water tupelo (Nyssa aquatica) found happy anchorage in the stream itself. 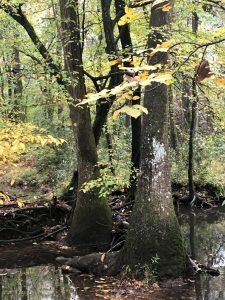 The typically buttressed trunk and stout structural roots are engineered to withstand the occasional floods that wash creeks such as Bradford. Again, I’d like to bear witness. 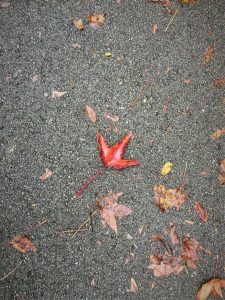 A single red, three-lobed sweetgum leaf countered the otherwise drab oak leaves that littered the trail and shoulders. Can a wet and cloudy day along a sewer line right-of-way meet my threshold for beauty, magic, wonder, and awe? You betcha! In aggregate, the entire package (the whole) far exceeds the sum of its component parts. The pieces do not simply compile arithmetically. They combine as multipliers, quotients, and powers to reach levels incalculable. Add in the loud laughing of a pileated woodpecker we did not see. The several scurrying squirrels gathering and storing acorns. The two jays fussing at who knows what. Horses grazing trail-side in the pasture near Mill Road. And how can we measure the compounding value of the emotional joy in knowing Nature is placing so much at rest, preparing for the winter. No, not bitter cold, extended snows, and howling winds. Instead, a long season of occasional Canadian and Arctic intrusions punctuated by gorgeous periods of reliable sun, comfortable afternoons, and perfect hiking. I have a snow shovel we brought south from New Hampshire. I don’t intend to use it! Nature teaches that breaks are restorative. I know that firsthand from how good a bit of afternoon shuteye feels. 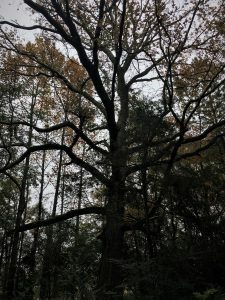 I am certain that the grand old oak, the wolf tree, welcomes in its own way the longer, cooler nights that signal its RNA to prompt recovering chlorophyll and sugars from leaves and forming abscission layers to release leaves to gravity’s tug. I could imagine the wolf tree sighing relief with a winter nap just days away. So apt is the wisdom from Ecclesiastes and The Byrds: To every thing there is a season… and a time to every purpose under heaven. Individuals, enterprises, and society broadly must awaken to our obligation to wisely steward our environment – from within our local community to globally. I am grateful that community leaders found reason to marry a utility right-of-way with a recreational preserve along a lovely urban stream. 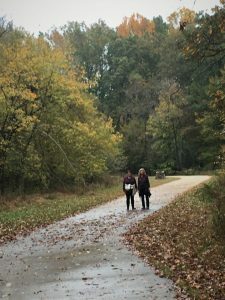 Whether intentional stewardship or serendipity, Bradford Creek Greenway serves a noble purpose and important cause. Don’t be blind to what lies in front of you. 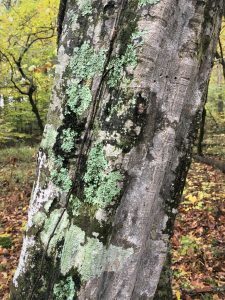 “Vision is the art of seeing what is invisible to others.” (Jonathon Swift) I’m reminded of the musclewood — its exquisite canvas of mosses and lichens. The glistening beech. How many actually realize they walk or bike through the art museum corridors of the Greenway? Nature can serve as an essential life focus. Such is my own pursuit… my own life-chord. Our two-hour stroll paid tremendous dividends to body, heart, mind, soul, and spirit. 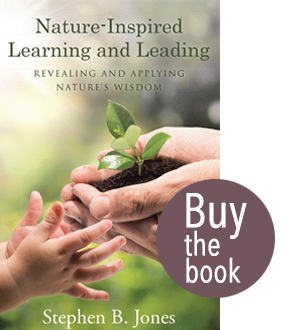 Nature provides multiple attractions for enhancing life’s journey. Funny how most of my time on this Greenway has passed at 12-14 miles per hour by bicycle. Admittedly, even at that modest pace I miss a lot. Ratchet the speed up or down — the attractions shift in response. 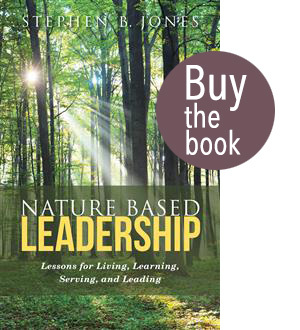 Nature demonstrates that nothing is without meaning and purpose. Not a single action or endeavor we witnessed along the trail happened by chance alone. In her (nature’s) inventions nothing is lacking and nothing is superfluous. Bradford Creek Greenway is just four miles from our house. I have often observed that Nature is where we seek it. So much is within easy reach. Were I to visit the Greenway alone and not impose a time limit for exploration other than the hours of daylight, who knows what wonders I might discover. Perhaps I will do just that some day. As it was, the furthest I wandered from the paved surface was some 50-feet. I fear that for much of my life I may have stayed too close to the trail. Have I ventured often enough from the metaphorical paved surface? Another of my lessons from the two books: Test your limits; be bold; ignite and employ your passion. Can such be my mantra for the remaining years of good health that lie ahead? I suppose that is entirely up to me. I know that during the course of 4.5 decades of professional and executive career, I did not often enough choose a pace slow enough to believe, look, see, feel, and act at the musclewood-canvas scale. May Nature inspire all that you do!